I love music and I love writing and recording songs, that's my personal goal. But to play some things I need to improve my technique and to arrange songs I need to know some theory, so both disciplines are really interesting to me - it's important to have a focus and concentrate on it. Well, I started playing in an Iron Maiden tribute band for 2 or 3 years but then my mind needed to expand. On one hand I studied for 2 years in a Jazz academy and on the other hand I discovered a lot of great bands and musicians like Dream Theater and Steve Vai who changed my point of view. 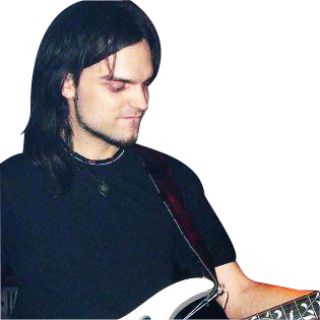 Nowadays I'm open to all styles, although the most interesting to me are progressive, power, and symphonic metal, OSTs, and maybe some dance and techno but always with guitars. This is the best guitar site, for sure! I enjoy being here a lot and I'm so happy to be part of the GMC staff. GMC has been really important in my musical career, and maybe thanks to this site my dream is becoming a reality. I just cannot imagine my life without GMC.